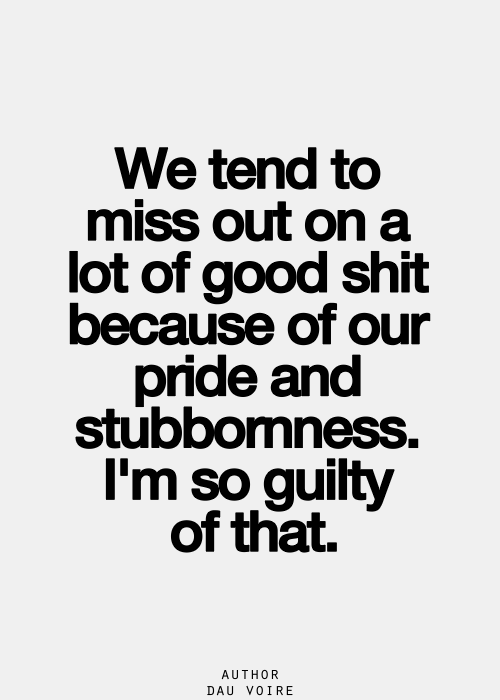 Stubbornness is trait found in many people. We come across stubborn people many times in our lives and might have cursed the situation that you had to face the person's rigidness. They do not accept the facts and easily pick up on fights to prove their point. Such people are difficult to handle. There are also other definitions of stubbornness that help them stick to their aims and goals. So the real insight into stubbornness is to know how good or bad it can be which can be seen in the quotes about being stubborn. Stubborness can be another name for self confidence. It is difficult for a commanding person to obey. One shouldn't be stubborn when met with an obstacle. A strong man is one who knows to compromise. Facts and evidence cannot be altered by any stubbornness. Sometimes, things don't go the way as you wish. Stubbornness can be good or bad. Perseverance is the road that will lead to success. But remember there's a difference between perseverance and stubbornness. Be ready to make changes when necessary. It is a great realization to know your level of stubbornness and act accordingly. Determination is different from stubbornness. Keep the final goal intact and play with your methods. Hanging on to the hope is also a form of stubbornness. It is difficult to draw out the truth from stubborn people. Some people find it difficult to forgive. We are bound to our stubbornness. Staying adamant on opinion is wrong. Keep open to other peoples' voices. Be stubborn in your game to win it. You can increase your will power with the right degree of stubbornness. Stubborn minds stay away from knowledge and happiness. It can lead to gap between family and friends. When faced with an adversity, stubbornness to hang on is the best way to face it as it is explained in one of the best positive quotes about stubbornness. Being this kind of person can drain you of energy. 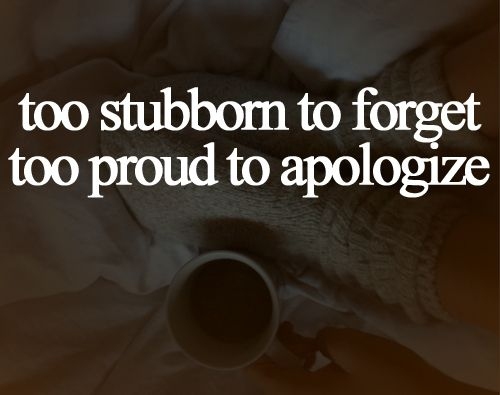 Don't let your stubbornness lead to lots of regret.